Extensive Type and Special Operations titles for your initial and recurrent training. Collecting data for your EBT, AQP and ATQP programs has never been easier. From approved training to custom development, we have the maintenance training solution for you. Pelesys is a global leader and provider of Aviation Training Management Solutions to Airlines, Training Organizations, OEM’s and MRO’s. Our complete training management system, extensive courseware library, and unparalleled service make us the perfect fit as your training solutions provider and partner. One of the largest courseware libraries in the industry. Our extensive aviation training courseware library is designed for flight crews requiring initial or recurrent training. Our Type Training and Special Operations Courseware features high quality graphics and interactive media to make it easier to keep your crews compliant. Manage and deploy your aviation training through one solution. Pelesys Training Management and Deployment System (TMDS) is the most comprehensive aviation training and compliance management solution in the industry. 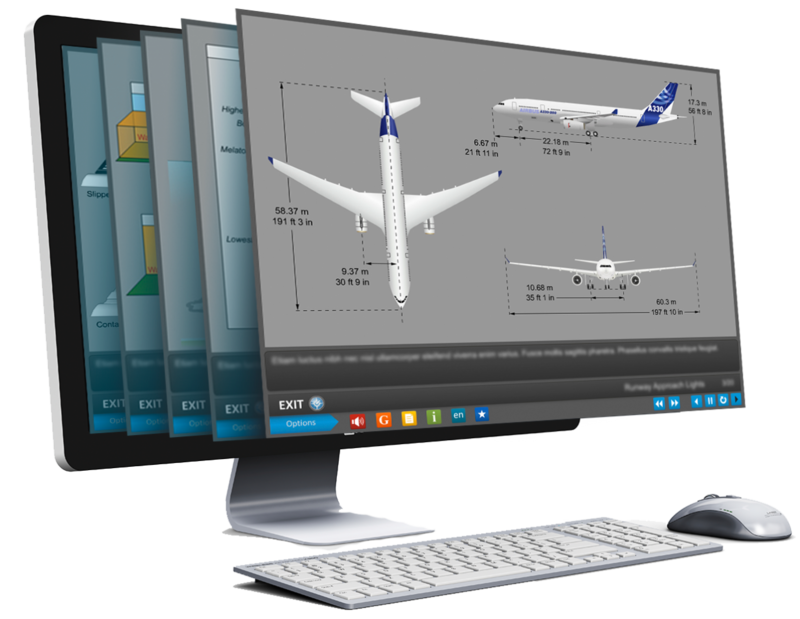 It is scalable and flexible to fit the needs of your airline and training operation. Desktop and mobile, online and offline, our system can be configured according to your organization’s requirements and needs. Providing the tools you need to successfully train your maintenance crew. Pelesys Maintenance training holds regulatory approvals from EASA and Transport Canada. Instructor led or computer based, initial or recurrent, we deliver top rate aviation maintenance training through a variety of platforms. Pelesys provides a scalable, Cloud-Based, Software as a Solution (SaaS) hosting model. Our hosting service will allow you to reduce costs and complexity. We guarantee the flexibility you need to respond to the changing needs of your operation. We guarantee 99.9% up time for all our systems and products we host, while ensuring the highest levels of service, performance, data back-up and data security. Customer Service and Product Support is a corner stone of Pelesys. We have dedicated customer and product support teams to ensure your requirements are handled quickly and efficiently. From 24/7 call centre support, online and onsite support, Pelesys is here to answer and support all your system usability and technical questions. System Integration is a unique strength of Pelesys’s dedicated IT team. We have developed a powerful API (application programming interface) based on the RESTful protocol which allows to connect the Pelesys components to external systems like Crew Rostering, Maintenance Planning or HR applications. Pelesys has a team of experts to handle many of your training consultancy requirements. We offer training needs analysis, system integration, courseware and training design, as well as services to assist with our customers AQP/ATQP and Evidence Based Training programs. Pelesys offers a wide range of training options to quickly and efficiently leverage the full benefits of our system. Upon implementation, we can provide onsite, instructor led training to your key users and system administrators. A simple email or call can quickly arrange online training sessions to further support the needs of your system administrators. Pelesys offers a wide range of content and courseware development services. We have a dedicated team of Subject Matters Experts, Instructional Designers, Courseware Development Designers, Professional Audio Talent and Content Conversion Experts to handle all your training courseware development requirements. Have questions? We’d love to hear from you.